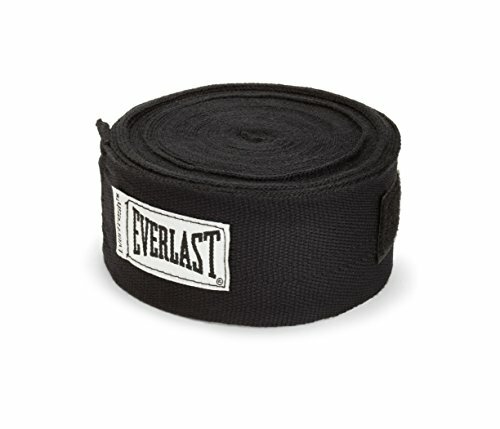 Blog Do You Need to Wear Hand Wraps for MMA and Boxing? Ahh, the age old question of whether or not you need to wear hand wraps for MMA/Boxing gloves. This is a question that almost every beginner has in Boxing, MMA, or Muay Thai. The answer will always be a resounding yes, hand wraps will always be necessary for MMA or Boxing. When it comes to the importance of your hand and wrist protection, hand wraps are absolutely pivotal in preventing injuries. Throwing punches, especially with your bare hands can be very dangerous. You may not realize just how devastating an impact combat sports can have on your hands. Throwing punches at an opponent or a heavy bag can give you a good idea of how important it is to have protection for your hands. Can Punching Hurt your Hands? When you think about MMA or Boxing you also think about hand striking. If you really think about the force absorbed when you throw a punch at an opponent or any object (such as a heavy bag), then you can understand why having the most protection for your hands is necessary. 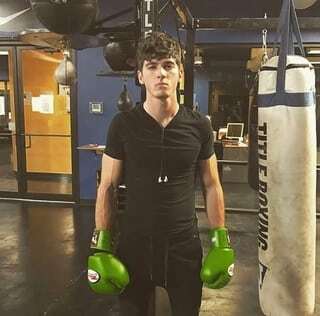 In Boxing your main weapon is your hands so it shouldn’t be a surprise that hand wraps are always recommended by boxing trainers and professionals. In MMA however, moves such as hammer fists and back fists can sometimes be legal moves. Another way hands receive impact is through blocking strikes by your opponent. This could be punches in Boxing and MMA, however in MMA you always have to worry about knees, elbows, and even kicks. These type of strikes can be very power and when you parry or block a punch it could possibly injure your hand. In MMA you’re usually taught to block a kick with your hand/forearm, this can obviously lead to injury as well. In traditional Muay Thai it’s very common for your palms to constantly be facing your opponent to block their strikes, this is obviously a danger for a hand injury. Typical MMA gloves are only 4 ounces and their sole reason for existence is to protect your hands while throwing punches. The problem with this is that 4 ounces isn’t a lot of protection for your hands. This is another reason why it’s absolutely a necessity to wear hand wraps when training MMA. 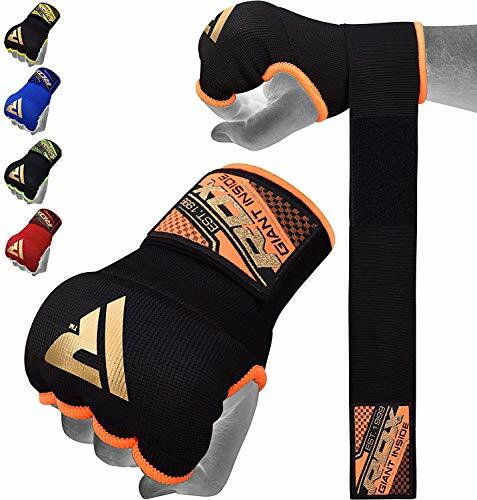 Boxing gloves are much more padded however in Boxing your sole attack is through your hands which is why hand wraps in Boxing are also a necessity. MMA, Boxing, and Muay Thai can absolutely hurt or injure your hands which is why it’s always important to wear hand wraps when participating in these combat sports. The hand is formed of 27 small bones, all of which take a huge amount of shock with each hit. Tight and correctly sized hand wraps hold everything in place and reduce a lot of risk for bones to break or fracture by giving them support. What Type of Hand Wraps should I use for MMA? This is another common question that is asked when people search for hand wraps. 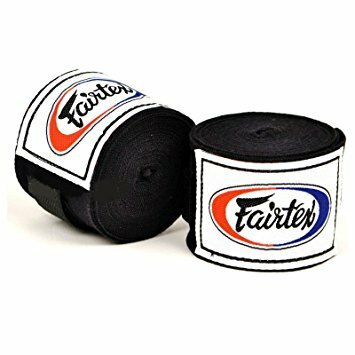 There a few types of hand wraps that are available today. We can break down hand wraps into a few different options. Some hand wraps have a certain stretch to them (often seen in Mexican hand wraps), meaning they are able to fit the hand tighter and often form to the shape of the fighters hand much closer than non-stretched hand wraps. Although it truly doesn’t matter which type you use, it is more of a personal option. There is also the “Inner Glove” hand wrap option, this is helpful when you’re constantly in a rush and need protection quickly. They are great when you’re short on time, however the protection won’t be nearly as good as traditional hand wraps because inner glove hand wraps don’t cover your entire hand. It’s always best to use traditional hand wraps whenever possible, however this is a great second option to have. Many fighters at my gym own both inner gloves and hand wraps and choose which ever one depending on the time they have before a training session. We show both traditional hand wraps and inner glove hand wrap options down below. 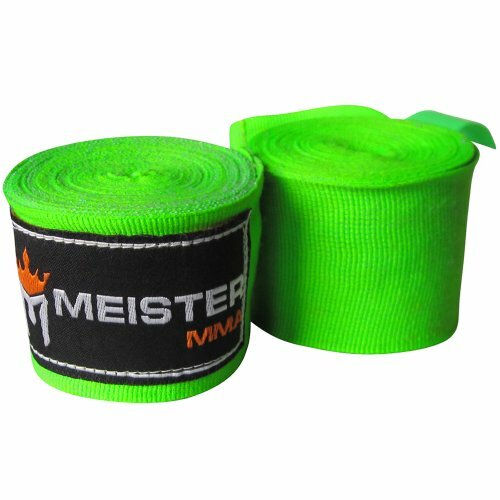 When do you Need to use Hand Wraps for MMA? The short answer that you’re looking for: every single time. It’s always recommended that you wear hand wraps whenever you’re wearing a pair of Boxing or MMA gloves. This ensures that you have the maximum protection when you’re training. Many gyms I’ve been to won’t even let you hit the heavy bag without some sort of protection under your gloves. This is another reason why it’s smart to invest in both traditional AND inner glove style hand wraps. Many people see inner glove style hand wraps as “nooby” however they are useful for when you are in a rush and don’t have time to traditionally wrap your hands. 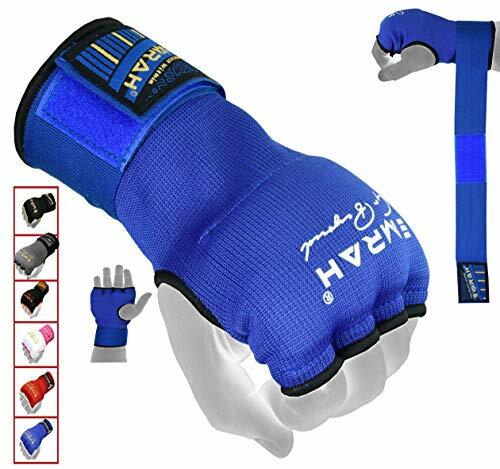 Wearing hand wraps with boxing gloves is fairly obvious to the entire Boxing and Muay Thai community, however many people are surprised when I recommend hand wraps for MMA gloves. As I stated earlier in this article, MMA gloves are typically only 4 ounces and although their sole purpose is to protect your hands, they don’t always do the best job. Although they are only 4 ounces, you can still safely fit hand wraps underneath most pairs of MMA gloves. When wrapping hands for MMA you want to make sure your hand wrap allows you to grapple, this is why finding a hand wrap which puts a little more emphasis on staying clear of the palm is always important. How do you Wrap your Hands? Whenever you’re wrapping your hands for MMA, Muay Thai, or Boxing, there are four key areas to remember: Your wrist, knuckles, thumb, and in between your fingers. Every single fighter has a slightly different wrapping style than the next, however the basics always remain the same. I’ve wrapped my hand so many times that it’s all muscle memory at this point. It might seem difficult now, however once you wrap your hands a few hundred times you too will have the same muscle memory built in. The MMA Guru highly recommends this hand wrapping tutorial from our friends over at Pentagon MMA. 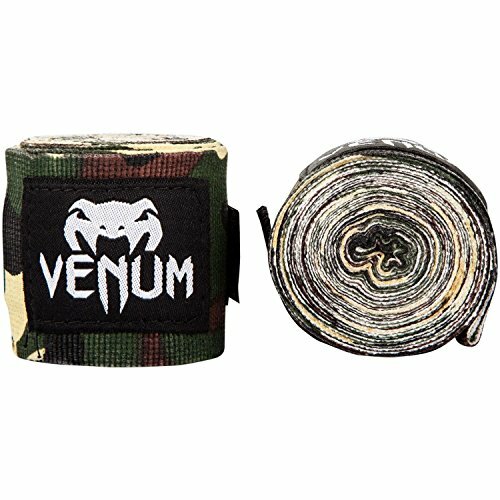 How do Hand Wraps make your Hands Safer? 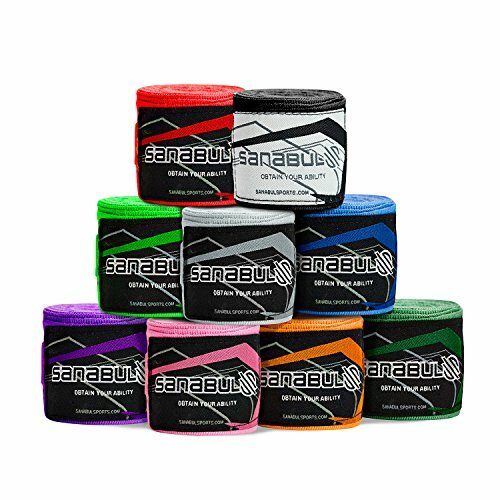 When you really break down everything, hand wraps are one of the best pieces of protection you could possibly have when training MMA, Boxing, or Muay Thai. Considering all parts of your hand impacted by a punch: the hand itself, the wrist, the knuckles, the fingers, and even the thumb needs to be considered when you think about protection. Good protection comes from two things: good hand wraps and a good hand wrapping method. However, it’s more important to have a good set of hand wraps because a good hand wrapping method can only get you so far. – Add an extra layer of padding around the back of the hand which is great for blocking punches. – Reduce shock from direct impact and also soften the vibrations in the hand that’s caused from strikes on the knuckles. – Prevent your fingers from pushing into your palm. After reading this I hope you take away the importance of wrapping your hands before training in Boxing, MMA, or Muay Thai. Not only is it important to wrap your hands, but it’s also important to wrap your hands correctly. Hand wraps can almost be useless if you’re wrapping them incorrectly, in fact you could even be at a higher risk of injury if you wrap your hands incorrectly. It’s also worth remember that hand wraps won’t just magically make you immune from injuries, accidents still are bound to happen, however it’s important to know that you’ve minimized the necessary risks as much as possible. Please continue to visit The MMA Guru whenever you’re looking for the best MMA, Boxing, Muay Thai, and Jiu Jitsu product knowledge and guides.